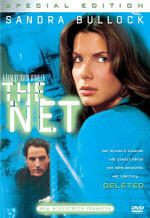 Within the FBI there exists a division dedicated to investigating and prosecuting criminals on the internet. Welcome to the front lines of the war on cybercrime, where special Agent Jennifer Marsh (Diane Lane) and Griffin Dowd (Colin Hanks) have seen it all ... until now. A tech-savvy internet predator is displaying his graphic murders on his own website and the fate of each of his tormented captives is left in the hands of the public: the more hits his site gets, the faster his victims die. When this game of cat and mouse becomes personal, Marsh and her team must race against the clock to track down this technical mastermind who is virtually untraceable. $11.354 million on 2316 screens. Any flick that features a female FBI agent who tracks a creepy serial killer inevitably draws comparisons to 1991’s The Silence of the Lambs. Heck, the cover to 2008’s Untraceable advocates the similarities with a review quote that calls it the “Lambs for the Internet age”. In the Jodie Foster spot, Diane Lane plays Jennifer Marsh, an agent who goes after cyber-criminals with her partner Griffin Dowd (Colin Hanks). She gets sent a site called “killmenow.com” which displays a webcam image of a kitten. When she first logs on, the cat’s alive, but when she checks back the next day, the kitty has expired. The site’s webmaster soon ups the ante and features a human subject. The premise: the more hits that killwithme.com gets, the quicker the victim dies. Assisted by local detective Eric Box (Billy Burke), Jennifer tries to find the culprit and stop more murders. 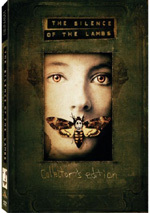 To paraphrase Lloyd Bentsen, I knew Silence of the Lambs, and Untraceable, you are no Silence of the Lambs. Or Se7en for that matter, another serial killer flick to which Untraceable compares itself. Actually, Untraceable takes Se7en as a much more obvious model than Lambs. While it borrows the idea of the female FBI agent from Lambs, the killer himself heavily resembles Se7en’s John Doe both in his actions and in his inspirations. I won’t say more than that so I can avoid spoilers, but there’s an awful lot of John Doe in this movie’s baddie. In truth, I’m not sure if I should bother to avoid spoilers since so much of Untraceable is utterly predictable. Take the Dowd character, for instance. Literally the second we meet him, we know what will happen to him. Again, I won’t spill the specific beans, but if you don’t know the inevitable fate of the main cop’s sidekick, you’ve not seen many movies. Not a single moment of Untraceable features the slightest hint of creativity. When I first went into the film, I thought that at least its premise was fairly fresh, but I soon realized that it really was little more than warmed-over Se7en. No, that flick didn’t feature the Internet, but that’s the only vaguely novel notion – and it’s been done in other films, so it’s not really new either. Some will decry the morally reprehensible nature of Untraceable, but I’ll not join its chorus. Does the movie possess any redeeming qualities? No, but I don’t think that makes a film like this some sort of immoral abomination. I could live without the film’s graphic depiction of the various murders, though not because of any moral repugnance. No, I dislike the gruesome sequences because they serve no purpose other than basic titillation. Lambs and Se7en worked well largely because they didn’t show much gore; they worked their magic through tension and suggestion. Untraceable knows it can’t compete, so it substitutes snuff film wannabe material for creativity or good story telling. Make no mistake: those behind Untraceable execute it in a painfully dull manner. It often comes across as a “greatest hits” reel of prior serial killer movies, and it creates nothing interesting on its own. The film throws out standard, predictable attempts at chills but can’t connect with any of them. And it also makes its characters out to be idiots. Jennifer and the others do so many stupid things that one must wonder how they ever finished grade school, much less how they got into the FBI. They’re bumbling morons without a hint of common sense. At its heart, a serial killer movie needs to be tense and/or scary. It doesn’t need to be boring, pointless and stupid. Untraceable falls firmly into the second category and provides almost zero entertainment value. 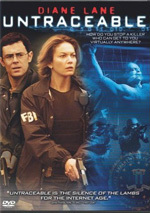 Untraceable appears in an aspect ratio of approximately 2.40:1 on this single-sided, double-layered DVD; the image has been enhanced for 16X9 televisions. Despite some small problems, the transfer usually looked quite good. Very few issues affected sharpness. A few shots seemed a little blocky and ropy, but most of the flick demonstrated good accuracy and precision. No issues with shimmering or edge enhancement occurred, and except for a small speck or two, source flaws remained absent. Grain could be a bit heavy, but that appeared to be a style choice. Speaking of that, the film’s palette went down a highly stylized path. The movie emphasized a heavy blue tint that left little room for other hues. Although the monochromatic nature of the flick was a tired stylistic conceit, the DVD replicated the tones well. Blacks seemed dark and tight, while shadows were pretty good; they seemed appropriately dense. Overall, the image satisfied. As for the Dolby Digital 5.1 soundtrack of Untraceable, it worked fine for the flick. The movie didn’t boast many chances for engulfing multi-channel material, but it used the five speakers in a satisfactory manner. A few outdoors sequences – such as those that featured various cars and helicopters or thunderstorms – showed nice use of the sides and surrounds; they blended together well and created a good sense of place. Nothing spectacular emerged from the soundfield, but the material fit the story. Audio quality was solid. Music showed nice range and clarity, as the score was consistently bright and full. Effects also came across as accurate and concise; some good low-end emerged from both effects and music. Speech was natural and distinctive at all times. Though this never became a memorable mix, it was more than acceptable. In terms of extras, we start with an audio commentary from director Gregory Hoblit, producer Hawk Koch and production designer Paul Eads. All three sit together for this running, screen-specific piece. They discuss shooting in Portland, cast and performances, sets and production design, accuracy and working with the FBI, various effects, story and editing, and a few other details. The commentary covers the various topics in a decent manner, though I think it’s awfully dry much of the time. The participants loosen up as it progresses, but the “nuts and bolts” emphasis makes it a bit tedious. Still, the filmmakers offer a reasonably informative take on the film; they just fail to provide a particularly enjoyable chat. Four featurettes follow. Tracking Untraceable goes for 15 minutes, 44 seconds and offers the standard combination of movie clips, behind the scenes shots, and interviews. We get notes from Koch, Hoblit, screenwriters Mark R. Brinker, Robert Fyvolent and Allison Burnett, and producers Tom Rosenberg and Gary Lucchesi. The show looks at the story’s origins and aspects of the script and story, getting Hoblit as director, notes about the film’s use of technology and work with the FBI, and thoughts about the film’s premise. The best parts of “Tracking” look at the script. We get good insights into the screenplay’s growth and various permutations, and we find interesting facts about changes that came with different drafts. The rest of the show is more ordinary, but it’s still worth a look. For the 15-minute and five-second Untraceable: The Personnel Files, we hear from Hoblit, Koch, Rosenberg, Lucchesi, and actors Diane Lane, Billy Burke, Colin Hanks, Perla Haney-Jardine and Mary Beth Hurt. “Files” covers the cast, characters, performances, and Hoblit’s style as director. Like most programs that concentrate on actors, this one comes packed with a lot of happy talk. It includes some interesting thoughts about research and real-life inspirations for the roles, but it doesn’t give us much to keep us intrigued. The Blueprint of Murder lasts 13 minutes, 31 seconds and features Hoblit, Koch, Eads, Rosenberg, Lucchesi, set decorator Cindy Carr, location manager Jennifer Dunne, and special effects coordinator Larz Anderson. “Blueprint” covers production design and sets, locations, and related topics. Some of the info repeats from the commentary, but there’s enough unique material here to make “Blueprint” worthwhile. Finally, The Anatomy of Murder runs five minutes, 44 seconds and provides statements from Lucchesi, Hoblit, Koch, and special make-up effects artist Matthew Mungle. This one looks at how the filmmakers created the gruesome killings in the flick. It’s short but quite informative. A few ads open the DVD. We get clips for Blu-ray Disc, Don’t Mess With the Zohan, Vantage Point, and Starship Troopers 3: Marauder. These also appear in the Previews area along with promos for Hancock, Step Brothers, Pineapple Express, Cleaner, Hero Wanted, The Tattooist, Youth Without Youth, Perfect Stranger, Vacancy, and The Forgotten. No trailer for Untraceable appears here. I wanted to like Untraceable, as I enjoy the serial killer genre. It serves as a sub-standard entry in that field, though. It borrows liberally from superior predecessors and insults the audience with its relentless stupidity. The DVD provides good picture and audio along with a mix of fairly informative supplements. There’s nothing wrong with this release, but the movie itself is a major disappointment.